On Monday and Tuesday, Aug. 27 and 28, Northwest Vista College will welcome students for the fall semester during Wildcat Days 2018. Volunteers located in stations across the campus will help students find their classes, give them a smile and provide maps, planners, pens and much more. You can log in to the site with your ACES email address and Banner ID. Those who sign up for a time slot will receive a special volunteer t-shirt. Thank you to the IT Applications Team for creating the volunteer registration site. 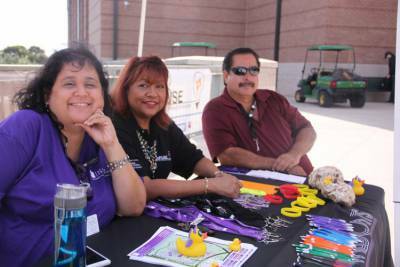 For additional information about Wildcat Days, contact Lynne T. Dean, ldean12@alamo.edu. For technical questions or issues about the volunteer registration website, contact nvc-appsdev@alamo.edu .